We are a woman owned CBD oil producer/manufacturer and infused eats start up based in Atlanta. A family business on a mission to heal the world. We wanted to introduce our city to a better way of eating and incorporating this miraculous CBD oil into our daily lives. As a self-trained Vegetarian/Vegan Chef, I've spent more ... Más informaciones than 30 years perfecting wholefoods based recipes and formulations. In early 2018, I created a super-foods menu for casual smoothies & tonics (served at our pop ups and storefront). And we just added my secret private menu built around cuisine made with our own organically grown CBD oil (THC FREE). Our menu is mostly vegan & vegetarian and largely gluten-free. We have meticulously sourced the highest in quality ingredients to offer a full spectrum of organically grown and/or sustainable produced organic sugars, fruits, vegetables, nuts, and our own house blended CBD oil. Choosing local ingredients, community farmers & small suppliers when available. Our entire menu is made with love, peace, harmony, balance. CBD oil is the short form of the term cannabidiol oil. Cannabidiol is a natural component of cannabis or hemp. CBD oil is cannabis oil that has a significant content of cannabidiol. It is made from the flowers, leaves and stalks of hemp not just the seeds, but the whole plant. Made in small batches by artisans in Georgia using organic cannabidiol. Extracted using super critical CO2 process, contains no pesticides, solvents, heavy metals, mold, or bacteria. 3rd party tested to insure purity and potency. No THC. Many in the medical community are using hemp derived CBD oil to manage and treat conditions. The research with hemp derived cbd (no THC) includes pain, inflammation, a wide range terminal and chronic conditions including cancer, epilepsy, diabetes, hypertension, depression, anxiety,brain injury, fibroids, insomnia, tumors, kidney disease, Parkinson's, Alzheimer's, rheumatoid arthritis, colitis, liver inflammation, heart disease, Additional pre-clinical studies show therapeutic benefits in the management of chronic pain, depression, anxiety, nausea, schizophrenia, PTSD, alcoholism, strokes, other cardiovascular disease. The research involves far too many others to list here. Specially prepared mouth watering vegan, vegetarian dishes infused with our Chef's own Colorado grown Canna Bistro blended CBD Oil. All dishes meticulously paired with infused vegan wines, cbd lemonade tonics & cocktails, served with a mixture of cosmopolitan flair... and don't forget Momma T's "BIG A" Brownie. There is nothing cliche about great-granny's name sake brownie. Indulge in this chocolate on chocolate walnut centered brownie; soaked in Tennessee moonshine and infused with Canna Bistro CBD oil. Our BEST SELLER! As an experienced Vegan/Vegetarian Chef, one of my favorite things to do is deconstruct "traditional cuisine", and call upon the blessings of the flavor gods. I create food with passion and the highest caliber of ingredients. Join The Food Boss for private, members only, high-end cbd infused dining experiences in Atlanta, Charlotte, & DC. This is an opportunity to connect with other like minded medicinal cannabis cuisine aficionados for 3, 4, and 5 course members only private dining experiences. Rich Casanova began his broadcasting career in California’s central valley at KSKS-FM. While in California he also ran a successful entertainment company whose staff and crew entertained over 100,000 people. After moving to Atlanta and selling his entertainment company, Casanova ventured into publishing as the Publisher and Franchise Owner of Coffee News, headquartered in Bangor, ME. Later became the Founder and CCO, Chief Connection Officer, of an online platform where local business professionals register to receive a free list of the top 100 networking events in metro Atlanta. With a name like Casanova and his gregarious personality, Rich was a natural as a music radio DJ. "I got the radio bug early in my career and often thought how great it would be if there was an opportunity to participate in a talk radio format with a pro-business perspective interviewing thought leaders from the local business community." 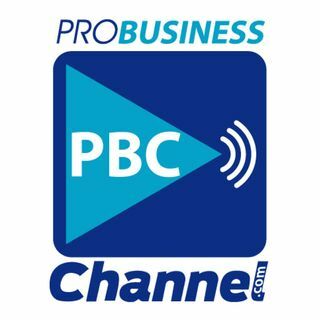 Thus was born the Pro Business Channel where Rich is the CoFounder and Chief Visionary Officer.